Mexico dawned between the growth of Hurricane Katia and the movement of tectonic plates under its feet. 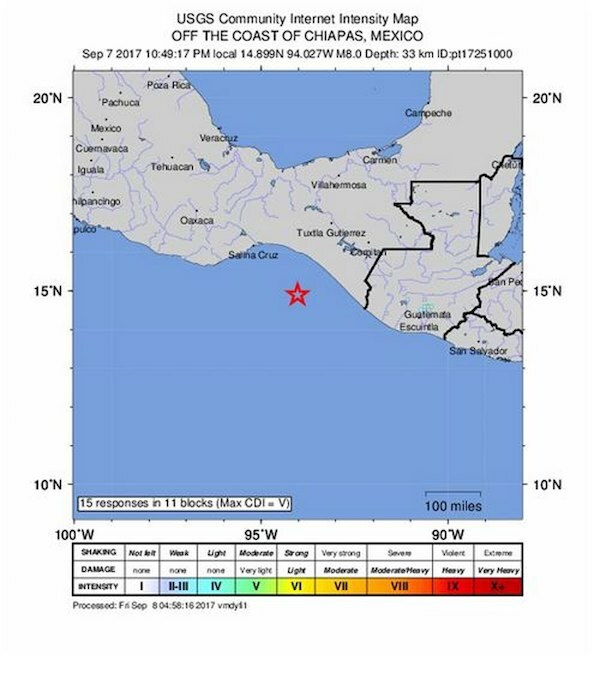 According to the National Seismological Service (SSN), the 8.2-degree earthquake, recorded one hour after midnight on Thursday, would be the strongest in 100 years within Mexican territory. between the Cocos Plate and the North American Plate, with its epicenter 111 kilometers from Pijijiapan, in the state of Chiapas. However, the tremor may have been violent as well in the capital - where the power system has been heavily affected - and in other areas of Central America such as Guatemala City. The president of Mexico, Enrique Peña Nieto, confirmed the death of at least 29 people, the restoration of the electricity service in 74% and assured that some areas were without access to the distribution of water, and that this could take between 36 and 48 hours to recover. After more than 60 aftershocks after the first movement, the Pacific Tsunami Center confirmed a tsunami in Mexico, with waves of up to 7 meters, according to CNN en Español. Also, almost one-meter waves can be registered in areas such as Ecuador, El Salvador and Guatemala, New Zealand, American Samoa, Cook Islands, Fiji, French Polynesia, Kiribati, Tokeau, Tuvalu, Vanuatu and Wallis Fortuna. All activities of the public sector are suspended, said the Secretary of Public Education of Mexico, Aurelio Nuño. 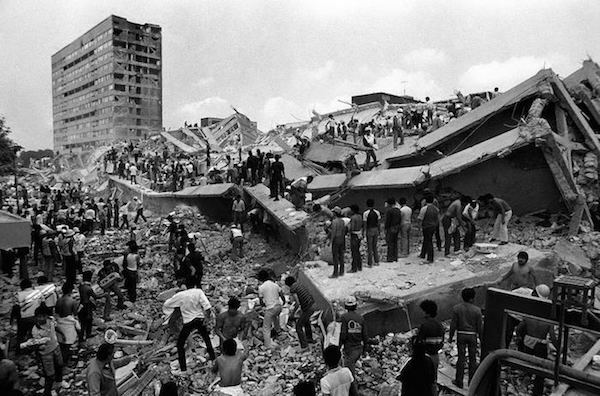 The last earthquake in this category, registered in the country, was that of 1985, which devastated Mexico City. But the Mexican authorities have explained that the difference is that, at that time, the epicenter was much closer to the capital, as El País newspaper reported. In 1985, among the most important buildings that came down were the Nuevo Leon building of the Urban Complex Nonoalco Tlatelolco; the buildings A1, B2 and C3 of the Multifamiliar Juárez; Televicentro (today Televisa Chapultepec), the Televiteatros (today Telmex Cultural Center); the Regis Hotels (now Plaza de la Solidaridad); the Juarez Hospital, General Hospital and the National Medical Center. This time, it was the state of Chiapas that suffered the worst effects. According to the governor Manuel Velasco, several homes have collapsed, schools and hospitals are affected and the coastal zone is being evacuated to the risk of tsunami.